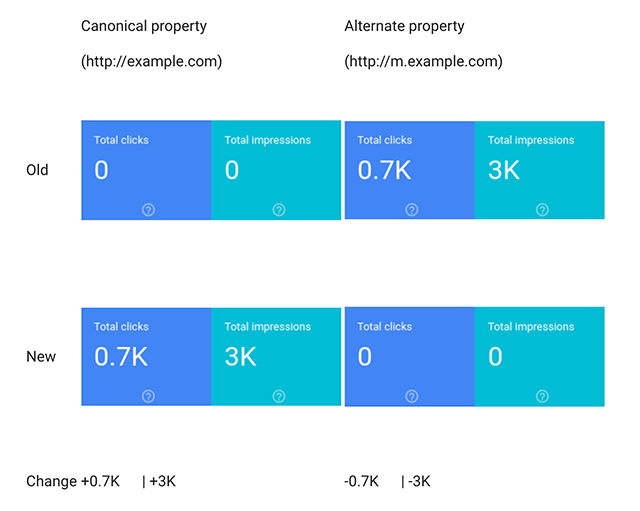 Google announced pretty big news for most of the readers here related to the performance report in Google Search Console. 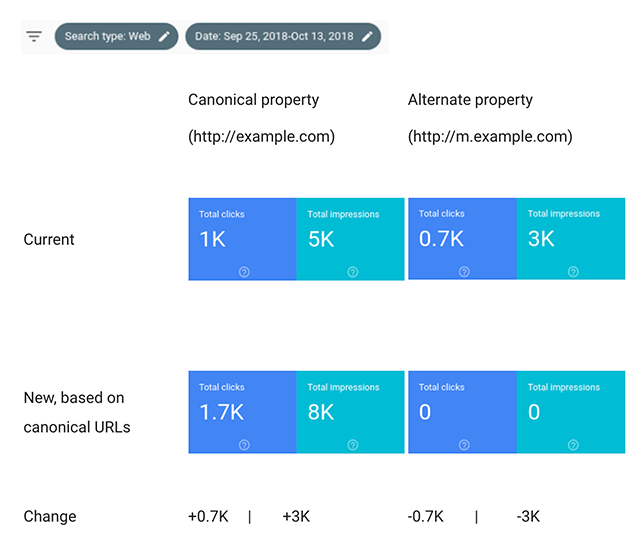 Starting the end of next month, the data in the performance report will be based on the canonical URL, which means the AMP, mobile, etc will all be counted towards the main URL's data in the performance report. The thing is, this is now live, I can see both the consolidated view and the old view (old view is live until April 10th). In many cases, when this goes live, if you didn't know about the announcement, you'd think your traffic grew significantly in search. But no, it is just Google consolidating all the traffic data into a single canonical URL. So the www, will also count your AMP, mobile, URL parameters, etc into the mix. I wrote about this news yesterday when it broke at Search Engine Land. The key is that you should not be surprised when you see your data change sometime at the end of March. So next month, Google will make the change and Google will back out the data going as far as January 2018. Google did say they will give us a few weeks to compare the old and new views of data, so it should be transparent during that few week period. 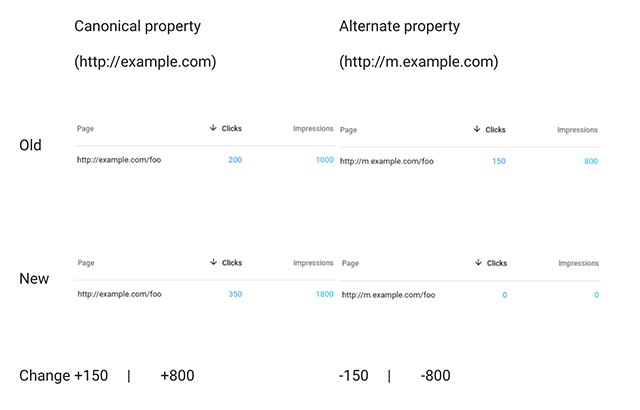 Here are examples from Google on how the data might look different in the performance reports. These are just examples, the good thing, you will be able to compare your specific data when this goes live for a few weeks. You can also export the data from the interface or from the API now to get the current data and compare it with the revised data when it goes live. Personally, for the whole, I am a fan of this change. I think it will help more people than harm. Although, I think the super savvy will not like it as much because it gives them a bit less control over things. But the super savvy are savvy and can figure it out anyway. I did wonder domain properties is dead since we know property sets is going away but John said nothing to announce there. This is actually now live, you can see the option to switch back and forth yourself in the Performance report. Here is what it looks like. Yep! We're doing a preview and tracking the data in parallel until Apr 10, to help make understanding & transitioning to the new way easier.